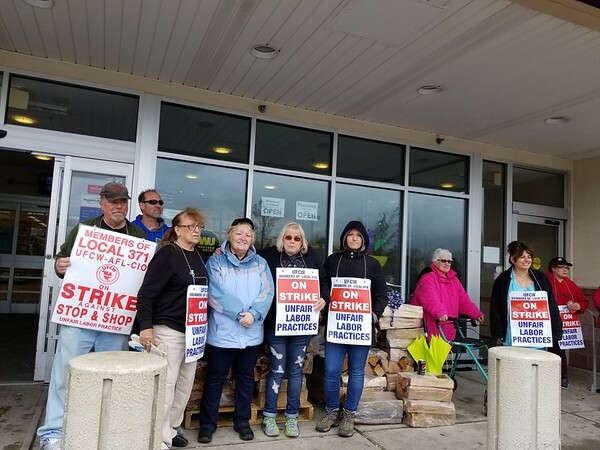 BRISTOL - Stop & Shop workers in Bristol went into day five of a strike extending all over Southern New England on Monday, with many shoppers refusing to cross the picket line and shopping elsewhere. 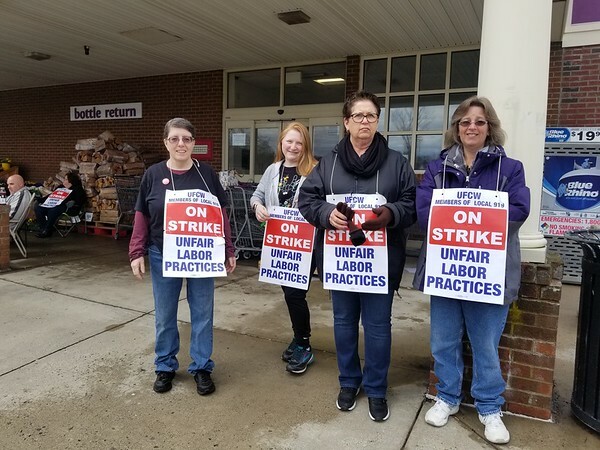 A majority of Facebook users who responded to a post put out by The Bristol Press said over the past few days they stand behind Stop & Shop employees and would refuse to cross the picket line. “Will not cross the picket line,” said Facebook poster Robyn Butzbach Beaudoin. “I would not cross the picket line. I did my shopping at Price Chopper this morning,” said user Tim Driscoll. Some posters, however, expressed discontent with the strike. 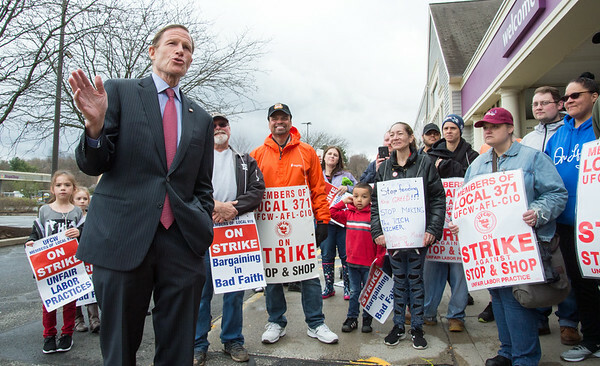 Employees in Bristol and at stores across Connecticut, Rhode Island and Massachusetts walked off the job around 1 p.m. Thursday after a breakdown in negotiations. They have not worked since. Access to the pharmacies and banks in the supermarkets has not been affected. According to employees, Stop & Shop wants to reduce contributions to things like health care and pensions, and cut down on annual raises. The company also wants to reduce Sunday pay, which is currently time and a half, employees contend. Stop & Shop issued a statement last week saying the company is disappointed in the workers’ decision to strike. The over 31,000 workers in three states have not had a contract since February. Stop & Shop contends that it has offered pay increases to all associates and no changes to the Sunday time-and-a-half premium for full-time associates or Sunday premiums to part-time associates. Negotiations between Stop & Shop and five locals of the United Food and Commercial Workers union resumed over the weekend and were expected to continue on Monday. Numerous picketers on Monday at the Route 6 store said there has been a lot of misinformation in the media regarding the strike, suggesting employees are asking for better deals than what they last worked for. “We want to keep what we have,” Martino said. Employees at both Bristol locations said the community has been very supportive. Farmington Avenue workers added that local police, firefighters, residents and businesses have been doing things like stopping by to honk their horns or bring them water and food throughout the strike. Bristol Town Councilor Mary Fortier has visited the Route 6 Stop & Shop employees during the strike, workers said. Employees at the Farmington Avenue Stop & Shop called on Mayor Ellen Zoppo-Sassu to show her support, saying early Monday afternoon that she had not visited them yet. 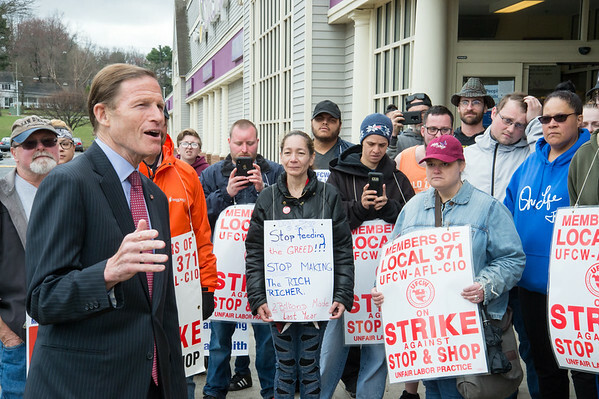 On Monday, U.S. Sen Richard Blumenthal came out to show his support. 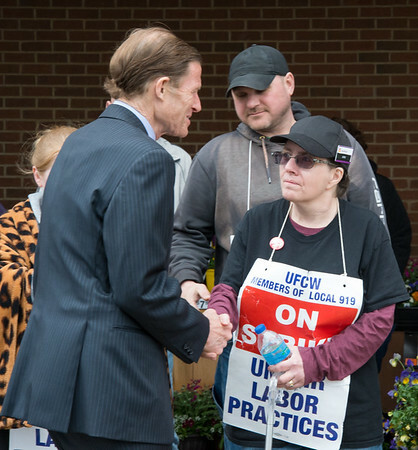 Blumenthal has been speaking with Stop & Shop employees and management across the state to ensure the union employee’s voices are heard. Many employees have become discouraged that a new contract has not been agreed upon. “I want to go back to work,” said Angela Vecca, a manager who has worked at the Forestville Stop & Shop for 31 years. “We’re not getting paid either,” said Shane Huey, a customer service desk employee who has worked at the Pine Street location for five years. “I can’t go to my landlord and say I’m on strike,” Huey continued. Posted in The Bristol Press, Bristol on Monday, 15 April 2019 21:23. Updated: Tuesday, 16 April 2019 12:53.